The bathroom is one of the most important parts of your house because you get to be completely yourself without having any probing eyes on you. You are in your natural skin and probably start and end your day in here. Having a nice ambiance in the bathroom is very important to kick-start your day perfectly and in a good mood. It is a well-known fact that renovating a bathroom can be quite cumbersome and expensive. It comes only to the kitchen as long as the expenses are concerned. This is the reason that most people don’t meddle much with the layout of their bathroom when they invest in a new property or real estate. Well, it is not always necessary to completely renovate to give it the new and classic look. You could do some small changes, and the improvement you will notice will be eye-catching and huge. Once your bathroom is spacious and clean, you will get a pleasant and positive vibe out of it, and you will feel rejuvenated to face the day. 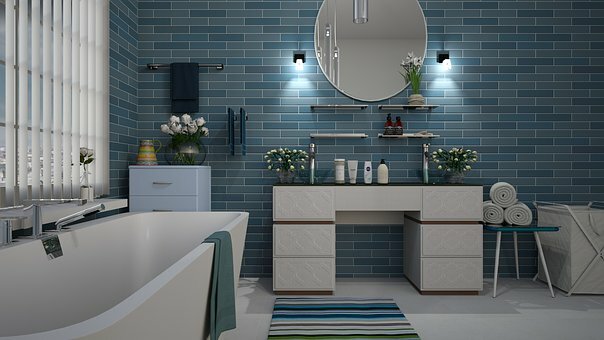 In this article, a few techniques to make the bathroom more beautiful and traditional have been discussed. Bathroom mat is one thing that gets dirty very easily and is visible as well. It is constantly exposed to a lot of dirt and water, and people tend to take it for granted. Therefore, if you opt for a mat that will be more amiable to the situation, it will make more sense. The Turkish and Persian rugs are an ideal replacement as they are not only soft and comfortable but durable as well. The best part is as the mats become older, the faded look has beauty on its own, and the colors and patterns pop out more extravagantly. It is something that will last for long and will keep your bathroom looking beautiful as well. 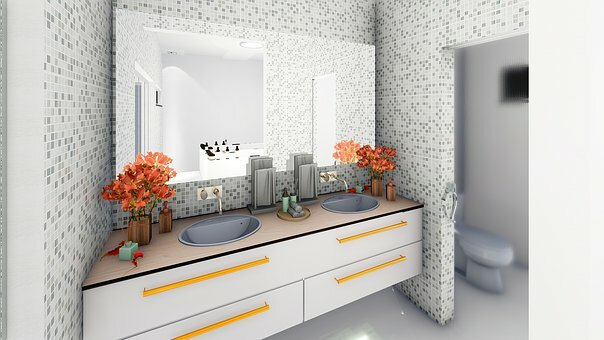 Yes, regular mirrors will serve the purpose but if you want to pump up the looks, go for the classic ones. Most of them will have a designer border and intricate designs, but something simpler will also work. The mirror adds a lot, as long as looks are concerned, and are reflective of your personality as well. Some mirrors come with closets where you can store your toiletries and other stuff like medicines. Thus, you will become clever with the available spaces as well. One basic and primary requirement of your bathroom should be that it should have good lighting. You need to see clearly in the bathroom to clean yourself properly. Most people go for ceiling lights for the bathroom, and there are quite a few designs which are handsome and traditional that will not only keep the bathroom well-lit but also give a traditional look. If there is one thing that adds to the classical quotient of your bathroom manifold, it is the marble. Marbles have a very sophisticated feel about them and are properly reflective of the light of the bathroom. They are available in many patterns and styles and can be adorned on the floors as well as the walls. Make sure that the color of the marble is coordinated with the general lighting and clean it from time to time. The texture of marbles is also very smooth, making it easy on the foot. Take care you don’t slip on them though. Marbles are not easy to clean but also come at a reasonable rate and will not burn a hole in your pocket. Thus, it is rightly called a marvel where bathroom decoration is concerned. Choose a bold botanical wallpaper. The walls of the bathroom should not be left plain colored. Instead of adorning it with some image of wallpaper will go a long way in adding to its personality and zing. Since you are looking for a soothing ambiance here, a mellow and moderate botanical wallpaper will be perfect. This will make the walls look more natural. Most bathroom wallpapers are made of materials that don’t get spoiled on getting exposed to water and are dust repellent. So make sure you choose one that fits all the bills. Add a modern feel with original features. The trick here is to get the perfect blend between the modern and traditional one. While having a matt finished greyish black theme in the bathroom will contribute to its modern look, you can add traditional looking furniture or stacked logs as a focus of attention to get that mix of style and class. This makes your bathroom look more sophisticated. After reading this article, you will have plenty of ideas to work upon to revamp your bathroom to the way you want without spending too much and once that is done, maybe you will spend more time in there more than anywhere else, intentionally.